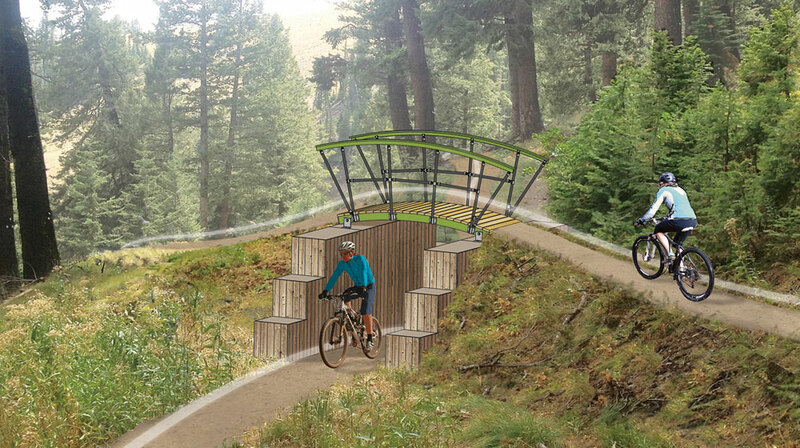 The Overpass Bridge can be used in multiple trail scenarios, including bridging small streams and sensitive land areas as well as full under/overpass opportunities. Multiple footing and retaining wall options are available depending on use and site conditions. Height: 6' 4" / Length: 11' 5" / Width: 4' 6"